Rules tend to offend the sensibilities of creative writers. The intricacies and nuances of crafting living, breathing characters from ink and type require free abandon. They rebel at the very thought that there could somehow be some order to their chosen form of expression. Yet, works bred of ego and blind ambition often flounder when crossing the finish line that is Audience Reception. They show up—yet ultimately have nothing meaningful to say, in part because they didn’t follow the “rule”. By “rule”, of course, we refer to a standard set when looking at story as an analogy to a single human mind trying to solve a problem. Rather than yet another in a hundred and some odd ways to beat the Hollywood reader, this reality occurs because of the processes that go on within the act of working out a problem. Dramatica (the first iteration of Narrative Science) sees story this way. If you don’t, if you see story as having no boundaries and no limitations then by all means, write to your heart’s content. Fly, be free. Just don’t expect the rest of us to remain engaged in your work. Audiences expect stories to think like they do. Run counter to their instinctual responses and they’ll turn away in droves. One of the very first of these rules to be encountered within Dramatica states that when it comes to the two central characters of a story—the Main Character and Influence Character—one will change, and the other will remain steadfast. If they both change the story breaks. How Can a Character Not Change? Eventually this standard finds the need to defend itself when it comes to certain great films. Consider Toy Story. When asked which principal character changes, Woody or Buzz, many answer both. 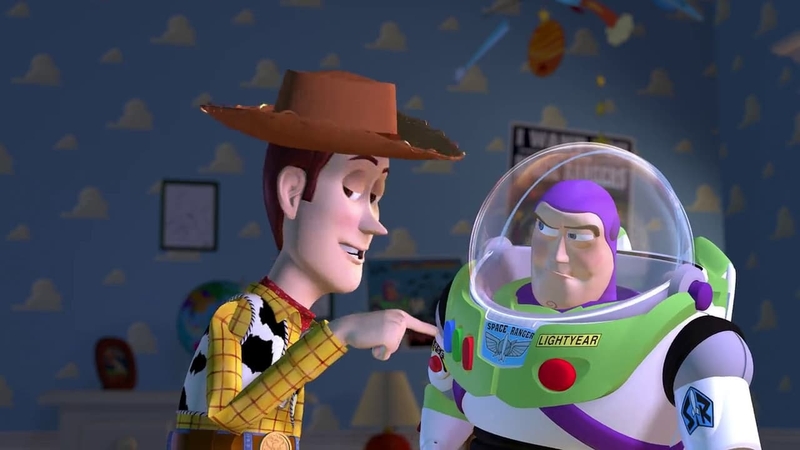 Woody finds it within himself to allow another toy the top spot and Buzz discovers he’s not really the Space Ranger he thought he was. What about The Sixth Sense? Obviously Malcom Crowe (the Bruce Willis character) changes, but doesn’t little Cole change as well when he finally musters up the courage to visit the poisoned girl? And what of Pride and Prejudice— doesn’t that classic beloved novel tell the story of two characters meeting in the middle? The problem lies in Dramatica’s definition of change and what most people mean when they think of characters changing. Contrary to centuries of thought on story, Dramatica sees the two central characters of a story not as fully imagined three-dimensional people, but rather as a context for perspective. Remember the basic given about stories as analogies to problem-solving? To fully comprehend and gain meaning from this act of problem-solving, all perspectives need to be addressed. One man’s terrorist is another man’s freedom-fighter? That’s the kind of dissonance differing perspectives offer; that’s how a story grants greater meaning to its events. The Main Character gives the Audience an intimate perspective of the story’s central problem. From here we experience what it is like to actually deal with the problem personally, as if “I” have the problem. The Influence Character offers up an alternative to the Main Character’s stance by showing how someone else deals with the problem. From there we experience what it is like for “You” to deal with the problem. The Overall Story Throughline and the Relationship Story Throughline round out those perspectives by offering us a chance to see how “They” experience the problem and how “We” experience the problem, respectively. But for now, seeing the Main Character and Influence Character as perspectives rather than fully-realized people makes it easier to explain the reason for that first rule. The Influence Character enters the picture and tension mounts. Conflict now occurs because two competing perspectives have come into play; two different approaches towards solving the story’s central problem. Both believe their view correct, both believe the other wrong. In order for this model of story as problem-solving process to work out, one must eventually give way to the other. Capitulation leads to resolution which in turn, leads to meaning. By showing whether or not the “winning” perspective leads to triumph or tragedy, the Author proves the appropriateness of using a certain perspective to solve problems. The Author crafts greater meaning to a story’s events. Sometimes the Influence Character was right, the Main Character changes perspective and the story results in triumph (Star Wars, The King’s Speech and Finding Nemo). Sometimes it was the Main Character who was right, the Influence Character justly surrenders and the story results in triumph (Star Trek, In the Heat of the Night, and The Iron Giant). Sadly though there are times when being “right” was actually wrong. The Main Character “wins” with the Influence Character changing perspective, yet the result tumbles into tragedy (Brokeback Mountain, Moulin Rouge! * and Reservoir Dogs). Regardless of the particular combination, the reason one character “changes” and the other “remains steadfast” becomes apparent: by showing the result of one taking one perspective over another an Author offers up their take on the appropriate (or inappropriate) way to solve a particular problem. In plain-English, the writer basically says, “Take this approach and you’ll likely end up in the dumps”(The Wild Bunch) or “Adopt his way of seeing things and you’ll likely end up triumphant” (Amélie). The rule gives purpose to story. But What About Meeting Halfway? If both principal characters change their perspectives, the outcome of the story loses all purpose. Who’s approach was the best? How am I to solve my own problems in life? What exactly was this story trying to say? In other words, no one will go see the movie. Rules of story structure—at least the kind of “rules” found in Dramatica—exist to give purpose to the telling of a story. Break them and the story itself becomes dysfunctional. Rare is the Audience member who voluntarily hangs out with a schizophrenic mind. Still, one can’t argue with the success and greatness of Toy Story, The Sixth Sense and Pride and Prejudice. Do these stories fail in making their arguments? Clearly the principal characters in each changes their perspectives. How does one explain their effectiveness as complex stories within the context of this rule of change and steadfast?